ENG Coney Island is a blast from the past. Once you’re there it’s like stepping back in time. Scenery just like from the 90’s and movies I used to watch as a child. 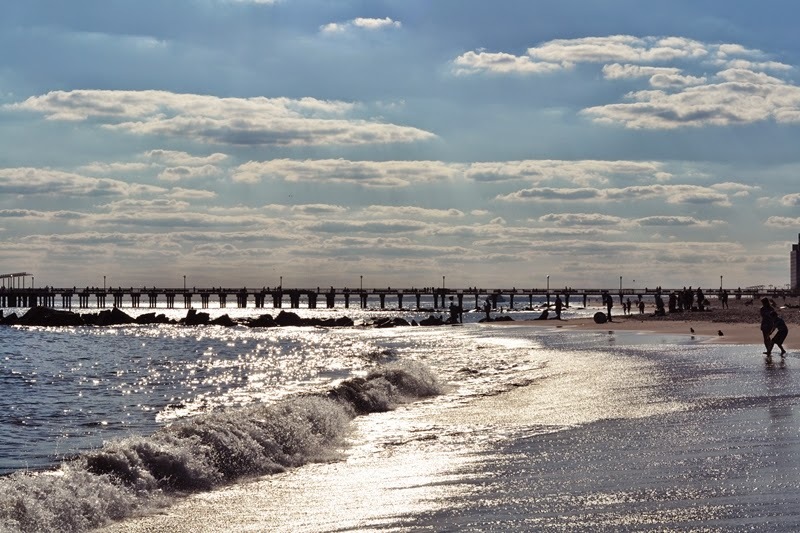 For me Coney Island always have been a must see when going to New York. There is just so much to do. Old fashioned restaurants, the amusement park, the beach, the little shops and arcades, skating, biking and swimming. It has it all AND it’s New York! One may not believe what Brooklyn has to offer just one hour away from Manhattan. It’s like being in the middle of a movie set. Seriously iconic. You can walk without a penny in your pocket and still have an amazing time. One can truly observe New York as a melting pot of cultures here. You can now imagine my disappointment when I arrived and found out that the amusement park was closed. Crying. No, not really. But at least I’ve been there and it’s off my bucket list now. At night it gets pretty creepy. All the garbage left behind, shady people coming out, not that much fun anymore. And I definitely didn’t feel safe. So as soon as it’s dark you better take the subway back to Manhattan. 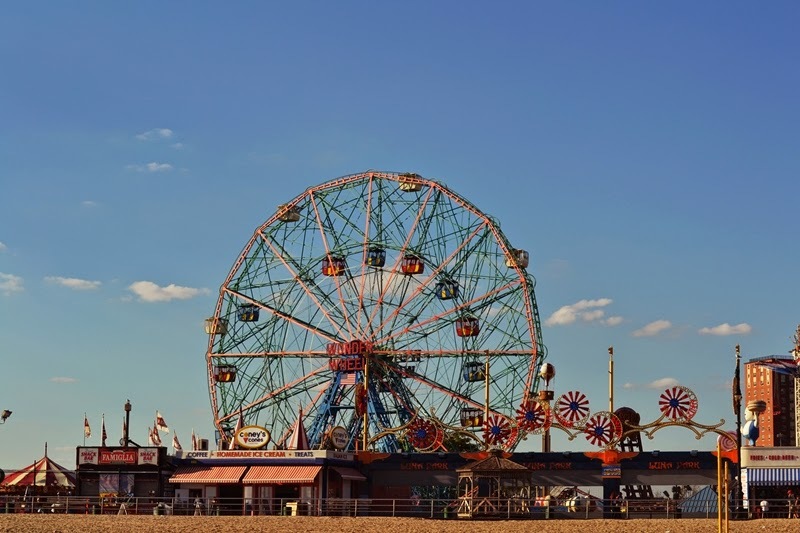 DE Coney Island ist wie eine Begegnung mit der Vergangenheit. Sobald man dort ist, ist es ein Schritt zurück in der Zeit. Die ganze Kulisse erinnert and die 80er, 90er und an die Filme, die ich als kleines Mädchen geschaut habe. Für mich war es schon seit immer ein Muss, wenn ich New York. Es gibt einfach so viel zu tun. Altmodische Restaurants, der Freizeitpark, der Strand, die kleinen Läden und Arkaden. Es hat so viel zu bieten UND es ist immernoch New York. Man glaubt kaum, was Brooklyn nur eine Stunde entfernt von Manhattan für einen bereit hält. Man fühlt sich wie am Set von einem Film. Kultig. Ohne einen Cent in der Tasche kann man unglaublich viel Spaß haben. Man erkennt deutlich, dass New York ein Sammelbecken der Kulturen ist. Ihr könnt euch die Enttäuschung vorstellen als ich dort angekommen bin und der Freizeitpark geschlossen hatte. Tränen, viele Tränen. Nein, nicht wirklich. Dennoch bin ich endlich hier gewesen und kann es aus meiner Bucketlist wegkreuzen. Abends wird es etwas gruselig. Der ganze Müll bleibt da, dubiose Menschen kommen aus jeder Ecke und es macht keinen Spaß mehr. Ich hatte mich auch ja nicht mehr sicher gefühlt. Also, sobald es dunkel wird, lieber schnell die Bahn zurück nach Manhattan nehmen. Love your pictures and your dress! cute dress! I love your heels! Love your heels. I love your style, following you now on GFC. Hope you could check out my blog. Amazing dress Jessica! Especially with these gorgeous metallic heels! What a lovely lace dress and you wear it beautifully. 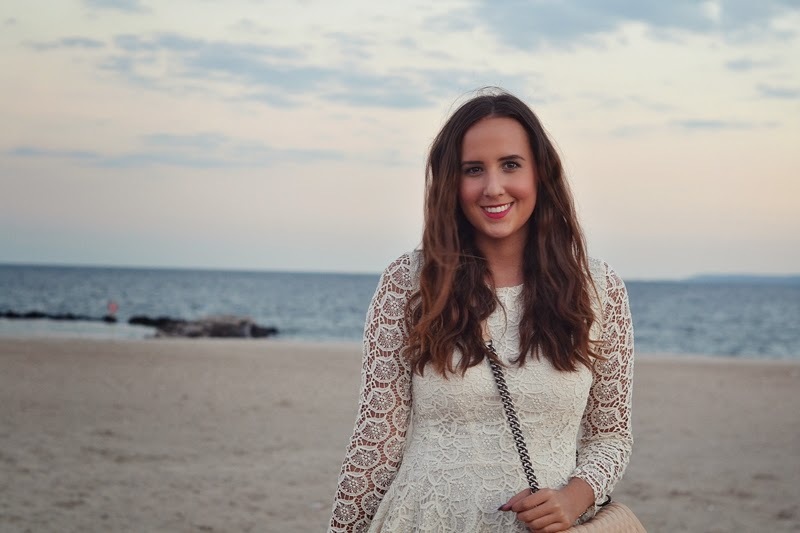 I love your lace dress and your silver sandals….. great combo!!!! I'm a little jealous- I would love to go to NYC and explore rooftops and Coney Island- and if I could do it even half as stylish as you- well, that would be awesome!! p.s.- thanks for the kind comment on the blog yesterday- really made me so happy! I love everything about your look! You look so pretty and adorable in your dress! so amazing look! i'm in love with this combo! I love everything about this post, you look stunning, the photos look amazing, and the location is perfect. It looks like you came at the right time, there isnt much people there, Ive never been to coney island, but Ive always been afraid it would be too "touristy," but maybe I just need to come near sunset in the winter like you did. Damn I miss New York. Pretty dress.